Although many clients seek an estate plan that will help them avoid the probate process, most clients do not really understand what the probate process actually involves. One misconception is that avoiding probate means eliminating estate taxes. Another misconception is that your estate only goes through probate if you die without a will. If avoiding probate is really what you want, you should first know what you are avoiding. Once you have decided, here are four methods for getting it done. The purpose of the probate process is to accomplish the transfer of assets from the deceased to his or her beneficiaries when there is no other way to do so. 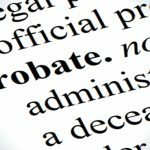 Put another way, probate is considered the last resort when there are no estate planning instruments in place. If you only have a will, your estate will still need to go through probate in order to transfer your property to your intended beneficiaries. 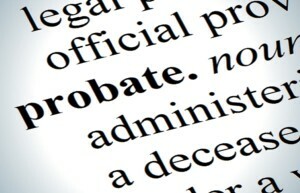 If any of these mechanisms are used correctly, avoiding probate can be easily accomplished. Your estate planning attorney can help you with this task. 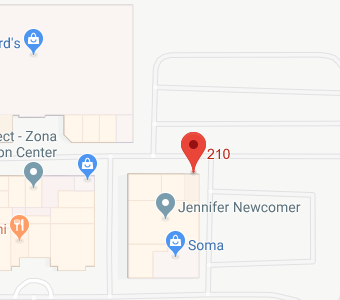 In situations where two people hold title to the same property in “joint tenancy,” they have essentially designated each other as their beneficiary upon their death. This is referred to as “right of survivorship.” The right of survivorship applies to personal property as well as real estate. This type of property does not have to go through probate in order to be transferred to the proper beneficiary. Another way to transfer property while avoiding probate is through beneficiary designation. For example, life insurance policies and retirement accounts are simply transferred to the designated beneficiaries upon the primary policy or account holder’s death. Similarly, payable-on-death accounts operate the same way. Some bank accounts, for instance, can be converted to payable-on-death accounts by completing a form that lists beneficiaries of that particular account. Then, upon your death, the money in the account will automatically be transferred to your named beneficiary without going through probate. One of the greatest benefits of a trust is probate avoidance. With a trust, all of the property you transfer or fund to the trust can be transferred to your named trust beneficiary without the need for going through probate. The trustee who manages the property until your death will ensure the property distribution of your trust property when the time comes. 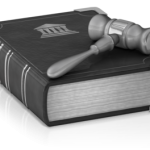 Most states, including Missouri and Kansas, allow for summary administration proceedings. Through this shortened process, estates governed by a will can be administered simply by following the terms of the decedent’s will without the need for a full probate proceeding. Summary administration is often less expensive, which can be a huge benefit to families. However, these proceedings often have strict asset limits and timeframes to be effective. In both Kansas and Missouri, heirs are allowed to avoid probate altogether when the value of the estate is under $40,000. All that is required is a short affidavit stating that the heir is entitled to a particular asset. An affidavit must be signed under oath. The affidavit is then submitted to the person or institution holding said property, along with a copy of the death certificate. That third-party, a bank for example, would then release the property to the heir. Some states may require that the affidavit is filed with the probate court. The main purpose of the affidavit used for small estates is to let the probate court know that this particular estate meets the requirements for simplified summary probate administration as opposed to general probate proceedings. 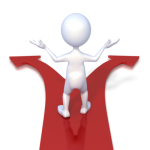 Another option is the simplified probate process for small estates. An executor can simply file a written request with the local probate court requesting use of the simplified procedure. If approved, the court may authorize the executor to distribute the assets without going through the full procedure of regular probate. 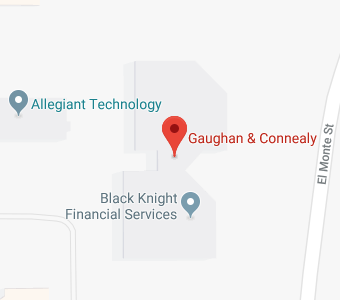 If you have questions regarding living trusts, or any other estate planning matters, contact Gaughan & Connealy for a consultation either online or by calling us at (913) 262-2000.